Chris Paul has been turning heads with his fifth signature shoe with Jordan Brand. This Thursday, March 8, another colorway is set to come out, which is expected to get a lot of attention once again. 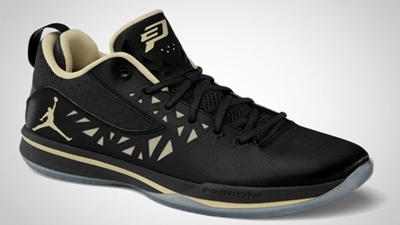 The Jordan CP3.V, which first surfaced on December and was first released on January, will be coming out in Black/Vegas Gold – Anthracite colorway, which is arguably one of the best colorways of this shoe. This shoe needs no more introductions because this is surely top-class shoe, making it a must-buy once it hit the market.